Hamon Research-Cottrell was awarded a contract in May 2016 for the retrofit of two Electrostatic Precipitators in the Sider El Hadjar steel plant at Annaba in Algeria, through the Swiss EPC company AS Metals Technologies. 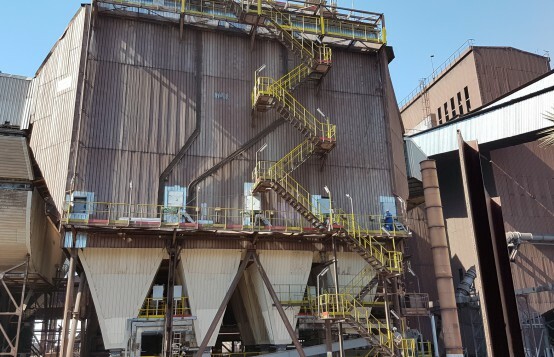 Used for the primary dedusting of a sinterplant, these 4-field ESPs are designed to treat 700.000 m³/h of flue gas with a dustload reduced from 6 g/Nm³ to less than 50 mg/Nm³. One of the ESPs was partially built in 2009 by a competitor but its erection was finalized by HRC. The second, also built in 2009, operated only for a few months before becoming damaged. HRC redesigned it to its own standards and provided all the new internal components for the 4 fields, as well as providing permanent supervision of all the subcontracted site works activities. Both ESPs have been successfully put into operation and the commissioning certificate was issued on November 2017.